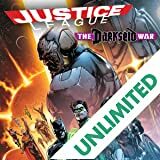 DC superstars Geoff Johns (FOREVER EVIL) and Jason Fabok (DETECTIVE COMICS) bring you the start of the Darkseid War, the epic event that has been building since the formation of the Justice League. 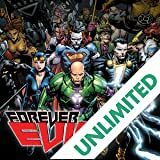 The Justice League first came together years ago to stop Darkseid and his Parademon army from invading our Earth. 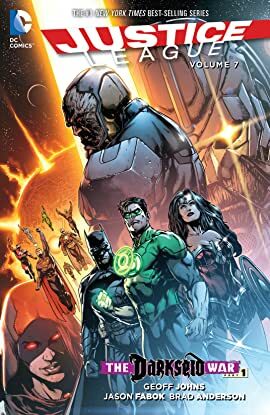 Now Darkseid will once again make the planet a war zone, as Earth becomes the frontline in his battle with the Anti-Monitor-one of the most powerfully destructive creatures ever created. 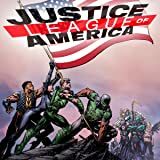 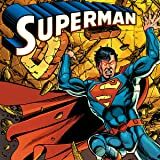 Wonder Woman, Superman, Batman and the rest of the Justice League are working with Mister Miracle to stop the coming bloodshed, but when two unstoppable forces of evil go to war, even the world's greatest heroes might not be enough to save the world! 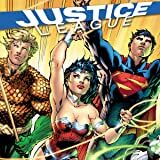 Collects JUSTICE LEAGUE #40-44 and DC SNEAK PEEK: JUSTICE LEAGUE #1.